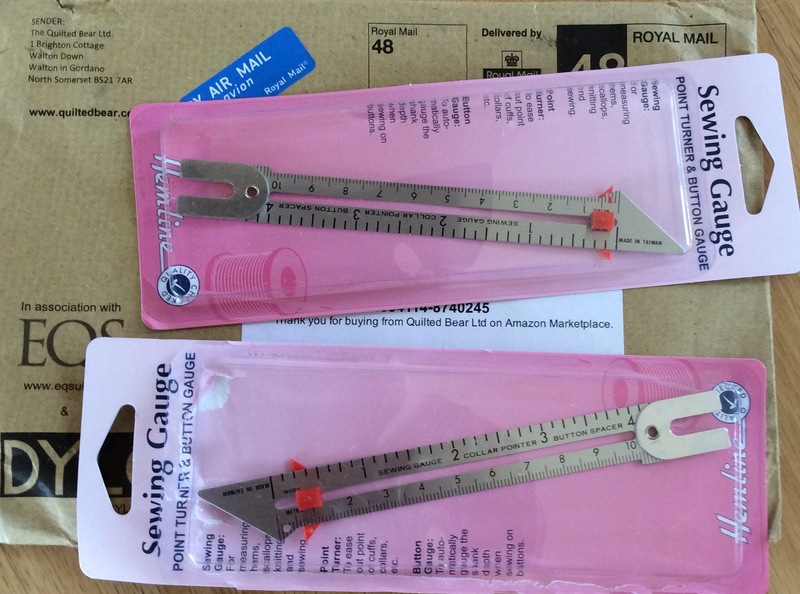 It’s here; ordered this Seam Gauge through Amazon, shipped from UK, on June 19th and it arrived on June 27th. After Amazon said it would arrive, earliest, July 15th. Praise be! Now why would I order a simple sewing tool from across the Pond? Because I couldn’t find it here in the US. 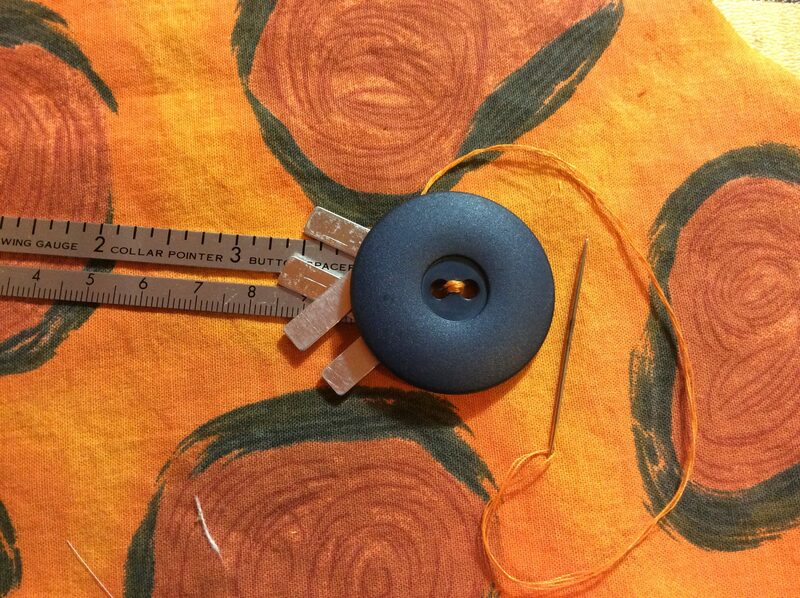 See previous blog, Hemline, Sewing, Knitting and Seam Gauge. And, they all look like this. My Stash; the ones I could find. Similar but no Button Spacer! It’s called a Button Gauge on the package, but Button Spacer is more descriptive, therefore, I shall call it that from now on. So why did I need to send to UK for another Seam Gauge? And pay almost three times what it would cost in a sewing store? It’s all about the Button Spacer–that U-shaped appendage at one end. 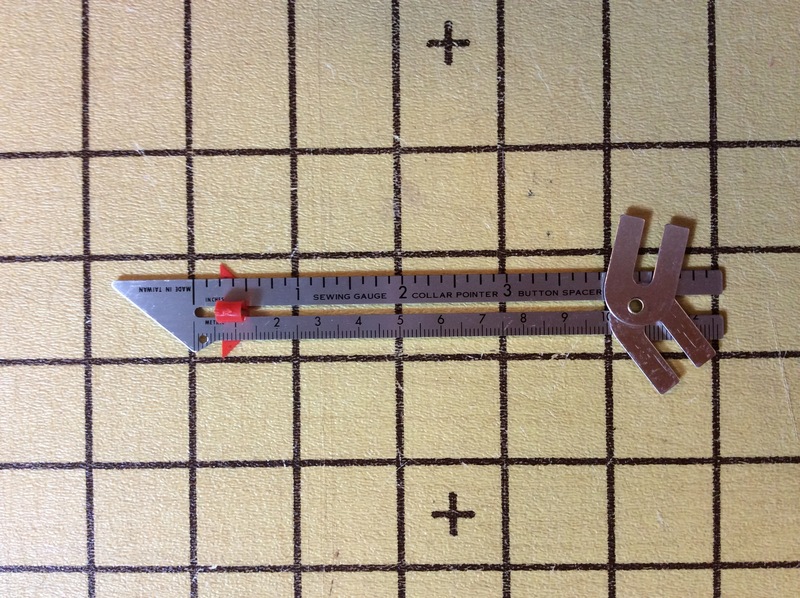 There are two that swivel plus the ruler itself. You see, buttons need a thread shank, yes, even buttons with built-on shanks; more necessary for thick, bulky fabrics. The thread shank acts as a support for the button lifting it slightly off the garment, allowing space for the overlapping fabric to fit between the button and the garment. Ever seen garments that bunch up around the button? Not enough room under the button! Typically sewers have used toothpicks on top of the button and sewn over it (or under if button has a shank); then the toothpick is removed revealing extra thread length–shank. 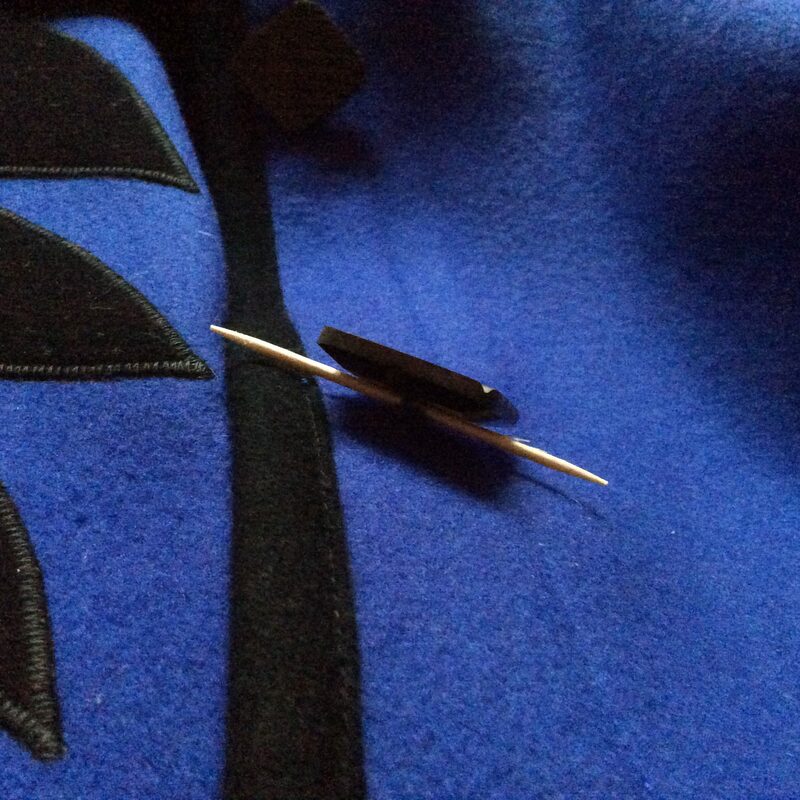 The button is pulled to the top of the shank and the attachment thread is wrapped around the thread (under the button) lifting the button off the fabric, providing space for the overlap fabric to fit under the button. A toothpick is not the most user friendly; it’s short, and sharp. 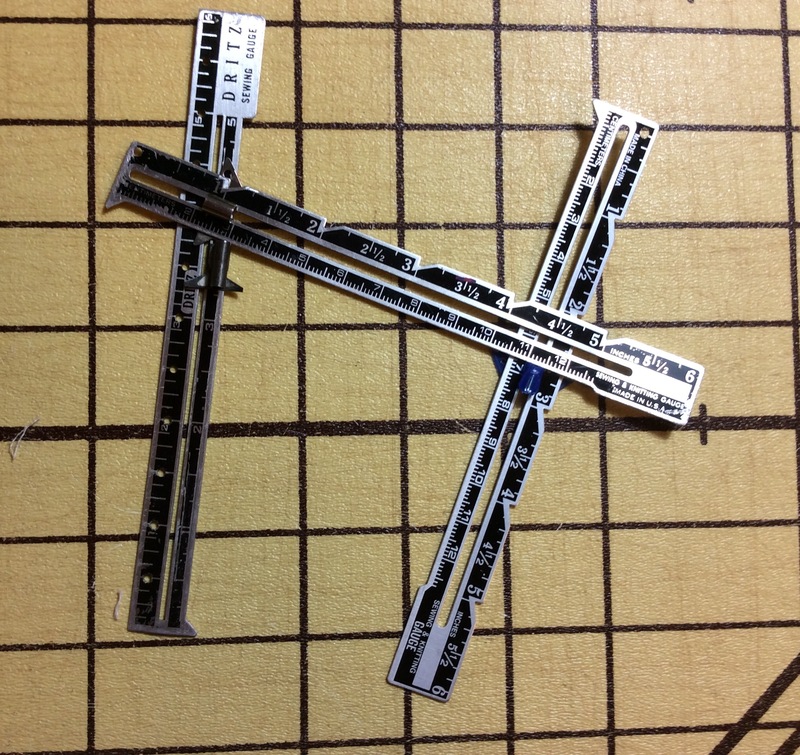 Now the Button Spacer is at the end of a 6″ ruler that is rigid and provides more support while wrestling a button into submission. and don’t think even using all three spacers will provide enough shank for really thick fabrics. 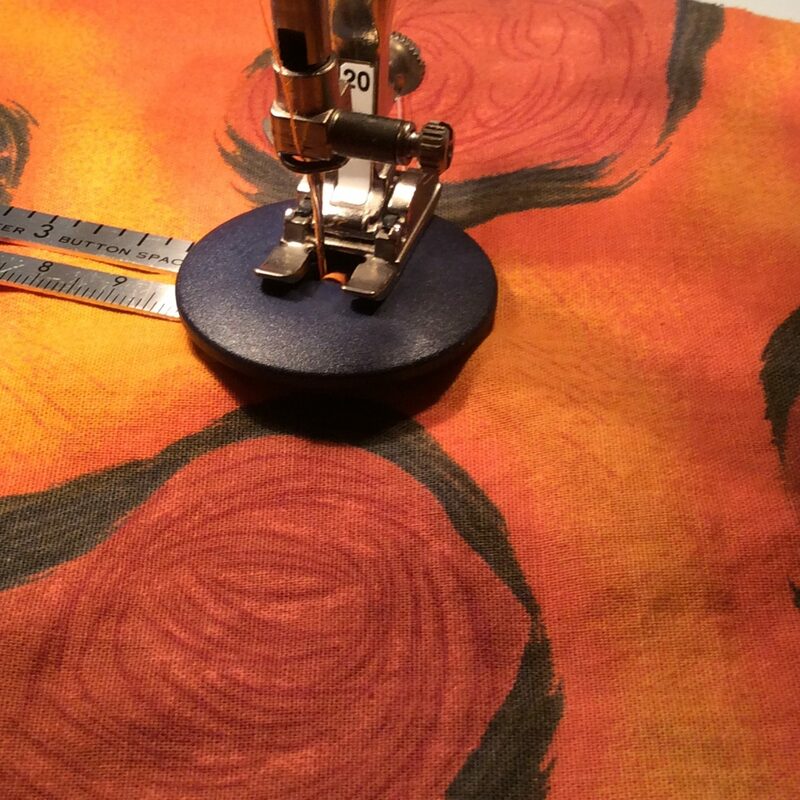 However, when using for machine sewing, it is perfect; slide under the button, lower the presser foot and it stays in place until done sewing. Position button and button spacer under presser foot. This entry was posted in FIBER FASHION FUN and tagged Amazon, button spacer, hemline gauge, knitting gauge, seam gauge. Bookmark the permalink.